Oster CKSTWF2000 Belgian Waffle Maker, Stainless Steel (2) by Oster at Mint MD. MPN: CKSTWF2000. Hurry! Limited time offer. Offer valid only while supplies last. 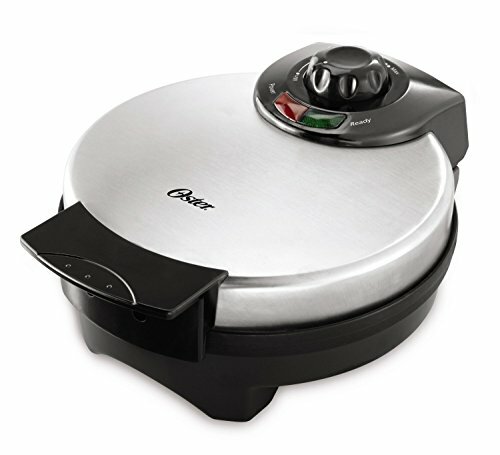 Oster CKSTWF2000 Belgian Waffle Maker, Stainless Steel. Stainless housing; Adjustable temperature control for light and fluffy or crispy waffles. Oster CKSTWF2000 Belgian Waffle Maker, Stainless Steel. Stainless housing; Adjustable temperature control for light and fluffy or crispy waffles. Nonstick cool touch handles. Power on and ready indicator lights. View More In Waffle Irons. If you have any questions about this product by Oster, contact us by completing and submitting the form below. If you are looking for a specif part number, please include it with your message. © 2019 - mintmd.net. All Rights Reserved.